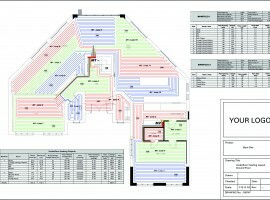 UFH (Underfloor Heating) CAD Designs Ltd is a leading UK specialist in the design of domestic and commercial Underfloor Heating Systems. We offer professional Underfloor Heating CAD design solutions to system suppliers nationwide. 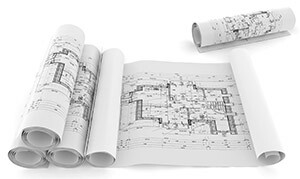 We specialise in underfloor heating CAD design and have unrivalled, hands-on experience in the design of quality bespoke systems. We are happy to provide general design advice if needed. 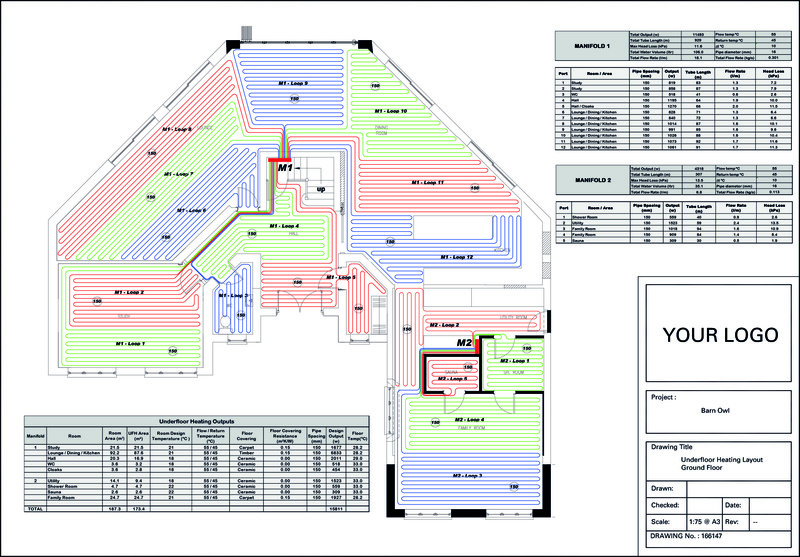 Outsourcing to UFH CAD Designs can bring substantial savings. Producing designs in-house can be a time-consuming and expensive process. 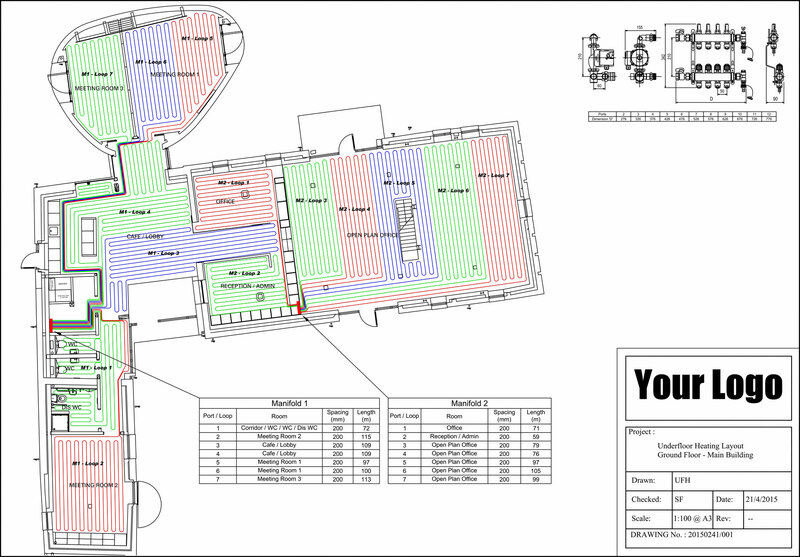 By outsourcing to UFH CAD Designs, we will complete the layouts for you, thereby freeing up your internal resources and helping to keep your design costs to a minimum. 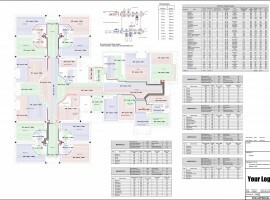 We can offer tube layouts only or full designs, including room by room heat loss calculations and outputs, tube lengths, water volumes, kPa calculations and flow rates depending on your requirements. 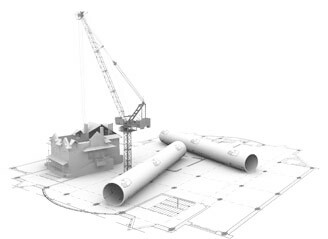 Our tubing layouts are designed for easy installation, by our engineers who have first hand experience in ensuring the layout is as straightforward as it can be. 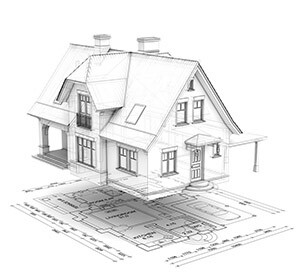 UFH (Underfloor Heating) CAD Designs is a UK specialist in the provision of underfloor heating CAD design services with over 40 years of experience in the industry. When you outsource to us, our fully dedicated team will ensure nothing is too much trouble. 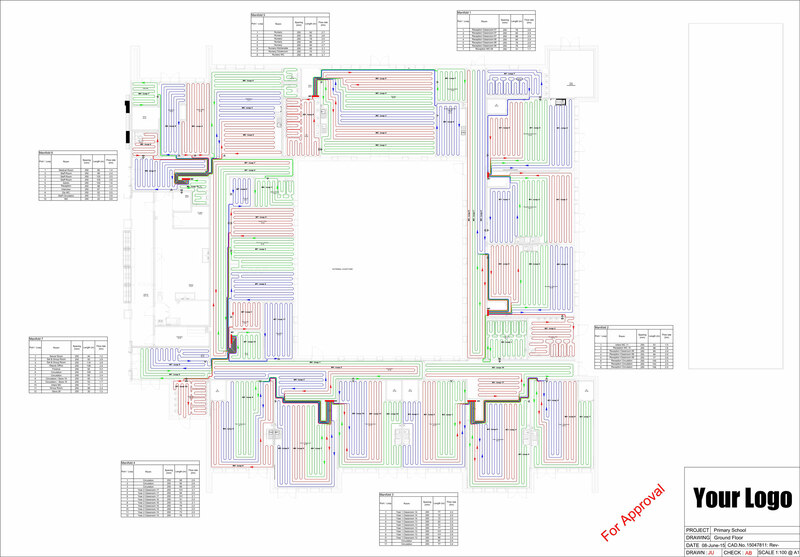 We can deliver quality underfloor heating CAD designs in 24-48 hours. We work with businesses of all sizes to provide a simple, hassle-free design service from start to finish. Because we are UK-based, we will work to fully understand how your company operates to ensure that all your needs are understood and expectations are met. 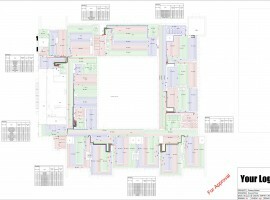 This results in the highest quality and accurate underfloor heating CAD designs. Ultimately we offer peace of mind through making time-efficient and financial savings for your business. We know that the success of any underfloor heating system will hinge on quality design and how it is graphically represented. This can be a time-consuming and expensive process to produce in-house, especially as customer demands create a bottleneck. 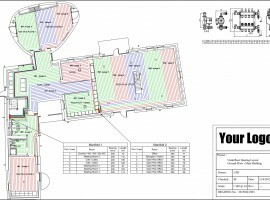 By outsourcing to UFH CAD Designs, we complete the layouts for you, thereby freeing up your internal resources and helping towards keeping your outgoings to a minimum.